Subject Area Content Supported by technology skills (NETS) or NETS For NETS? I recently met a computer lab person whose responsibility, according to the district, is to teach the technology curriculum. The upper elementary students will take technology for ten weeks. This person will teach them how to keyboard and to word process. In that same school, many students are behind in reading and math skills. I thought that the students could use the word processor to brainstorm ideas, outline their ideas, word process their writing, revise the writing, and print out a final copy. I was informed that the students have to focus on learning the technology of word processing. Are the National Educational Technology Standards (NETS) for students integrated into your school’s academic curriculum so that when your students do a specific academic task they utilize (and learn) a specific technology skill? For example, students record the daily growth of a plant in science class by taking digital pictures and by putting information in a spreadsheet. As they analyze plants in science class, they learn to use a digital camera by taking, manipulating and labeling images They learn to produce a graph to see overall growth patterns in the plants. Educators know that when something is learned in a meaningful context then it is learned better and longer. Or are the NETS a stand-alone curriculum in your school that only serves technology? I am always interested in hearing national educational technologists talk about what the classroom should be like. They insist that the tools that people use outside of school, our students should be able to use in the classroom. For example, students use cell phones outside of school, so they should be able to use them in the classroom. 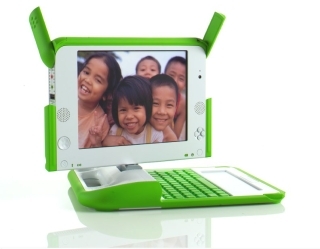 I would prefer for us to state our educational learning purpose (standard) and then select an appropriate technology. I do not want us to force learning based on a technology. One presenter says that students can read poetry as text messages. Most poetry forms take more than four lines and takes many words. I could force poetry to fit on a cell phone screen but why would I? I could pair up students and have them talk over their cell phones but why don’t I want them to talk face to face? I could have students do a voice message via their cell phones to an audio blog but why don’t I have them talk to each other? For Christmas I received a batteryless flashlight that I shake for 70 seconds and then it provides light for an hour. I tried it and it worked and worked. My wife commented that every third world person in a remote area where there is no electricity should have one. I began to think of Negroponte’s $100 computer and how he has designed it to use very little energy so that students can self-power it. I heard him speak at NECC in San Diego and his passion for helping students around the world impressed me. A few years ago, my family went to a resort in a Latin American country and I visited a local school that did not have any electricity. The school did not have walls or windows. The school was the shaded area under a large tree. The teacher had a chalkboard that he lugged from his distant home. There were no textbooks or print resources for these students. If those students had the $100 computers, they could learn so much more and better their future life. Is the $100 computer perfect? No. Is my new many many of $100s laptop perfect? No. Let’s stop arguing over the $100 computer. Let’s support it as an actual way to help students whose future depends on a good education. These suggestions for improving students inference reading skills are based on students having practiced with question words and having practiced with literal level questions. – Have the students look at a question on the Smartboard, underline a critical word in the question and have them write at least three other words for that critical word. If the students read “Where did the boy buy the book?”, they underline the word “boy”, they write “child, youth, or kid”. They look for the critical word of “boy” in the passage. If they do not find that exact word, then they look for the synonyms. They may find “The child purchased the book at the corner store.” Students can underline all the critical words in a question and then list the synonyms under each critical word. Then they can be given a file so they can do the same activity on their own laptop for individual practice. -Provide students with one sentence and ask many inference questions about the sentence. “In the northeastern part of the city at noon the tall man crashed his new truck into the tree because the sun was so bright.” This time each question will contain at least one inference (other than the question word inference). Who was driving the truck? When did the accident happen? Where was the collision? What happened to the tree? When did this unfortunate thing take place? Why was the tree hit? Help them so that they can answer the Ws for each of these inference question. The students have to be to comprehend the question well enough and to read the passage well enough to understand that the same idea can be presented with different words such “crashed into the tree” = “collision”. You might want to model this for the whole class several times using a word processor or a Smartboard. Then students can answer several inference questions on their own computers. As they answer you can see if any misunderstandings occur. -You can increase the inference difficulty by using several inference words in the question. (Just like the NYS ELA does!) Instead of “Who was driving the truck?” the question could be “Which adult was driving the vehicle?” In the first question, “truck” is in the passage but “driving” is not and neither is “Who?” In the second questions students have to translate “Which adult”, “was driving” and “the vehicle” in order to be able to answer the question; yes, that is three inferences in the same question. -After students can answer inference questions based on one sentence, then give them a paragraph with inference questions. One teacher delivers his reading inference homework via his blog. The students download the reading passages from the blog, work on them, and bring them to class the next day. Another teacher uses personal response devices to “see” the students’ answers during class and figure out if any inference problems emerge. How else do you improve your students’ inference reading ability through technology? 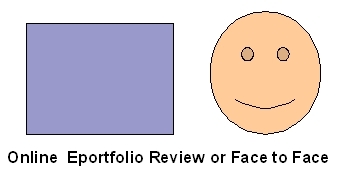 So what is the difference between an online eportfolio review and a face to face eportfolio review? That depends on the pre-service students. Some students let their enthusiasm for teaching bubble over during an oral presentation. Others rush through their presentation. Some students add more information than what is on the screen. Others simply read the screen. Some students connect the various artifacts and proficiencies to create a big picture of teaching; some do it in their oral presentations and some do it in their eportfolios. The same information (artifacts and reflection) is in both presentations. I am a reflective person so I like to be able to study the artifacts, review the student’s philosophy of education, and then finally assess the proficiency. There are times when I want to ask the student questions such as “Tell me more about…” or “What did you really do to assess your students’ literacy?” Sometimes I can ask a question during an oral presentation but usually there is only time for a quick question. I cannot do it during an online review. Some students label each paragraph with the appropriate subproficiency to make sure that the reviewer can find the evidence. That is a double edged sword. Yes, I can see where the evidence should be but is it really there? Often during an oral presentation they do not identify subproficiencies. The real question is whether the student, either face to face or online, convincingly presents the evidence to show success in the proficiency. The student can do it successfully in both formats. Here are two examples of formative assessment using technology in an English classroom. I asked students to do their usual journal writing for their normal eight minutes. At the end of eight minutes, they counted the number of words in their writing and wrote it in their journal log. While they did another activity, I went around, recorded their scores, and then inputted the scores into a class spreadsheet on the computer. Within a few minutes, I showed the students a projected graph of that day’s writing fluency class average and compared it to the last time we did the activity. We talked about our increases and shared successful techniques that some students used. We did this at least once a week and their scores increased from 80 words to about 180 words in less than ten weeks. The students write down the vocabulary learning strategy that they used on each weekly vocabulary quiz. Each week when they got back their quiz, they entered their most recent score in a personal spreadsheet so that they could see a graph of their vocabulary scores. If they got below an 80, then they had to try out another vocabulary learning strategy from the class list that we had generated. They were to try the new technique for two weeks. 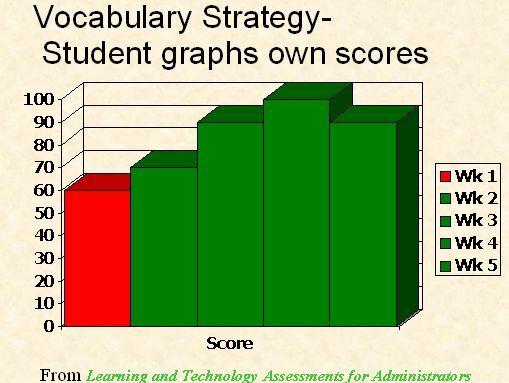 They could monitor their own vocabulary learning strategy success and make changes to be more successful. What regular classroom or individual formative assessments do you build into your class? One of the biggest changes a teacher can make in using formative assessment is to convert the course grading to be standards-based. When I taught I had grading categories such as homework, tests, quizzes, and projects. My total grade for a student was a combination of these individual categories. 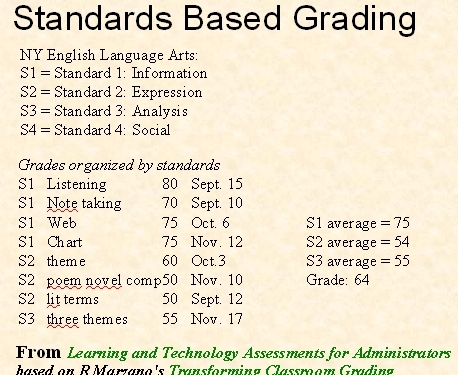 However, after reading Marzano’s Transforming Classroom Grading, I changed my grading to be standards based. I simply put the standard in as the major category in the grading program. So instead of the categories of homework, tests, quizzes, and projects, I had S1 (Standard 1), S2 (Standard 2), S3 (Standard 3), and S4 (Standard 4). I had to think about the real standards purpose for each homework, test, quiz, or project and then label it with that category. So I might have S1 as the category and then “graph reading quiz” as the description. When parents came in and asked about their students’ grade, I no longer said, “He does poorly on quizzes” or “She does not do well on the project.” I said, “He has a low score on Standard 1” or “She is doing well on Standard 4.” The parents understood those comments as measuring their children’s progress toward a standard. The students understood that they were working on standards and that each homework, test, quiz, and project contributed to a standard. So are you standards-based in your classroom? Does your grading reflect it? Do your students know how well they are progressing toward the standards by looking at their class grades?